First off, isn't spruce a fantastic word? It just sounds great. 'Spruce' up your home. I love that saying. Anyway, today I thought I'd list off 5 simple ways you can make your home feel, well, more homely and cosy. There are so many simple ways you can cosy up your home. There's nothing like the smell of a scented candle to really make things cosy. Incenses are perfect too, however they can be a bit overpowering at times. Pin boards are absolutely great for having about the house and photo frames are just beautiful reminders of good memories. 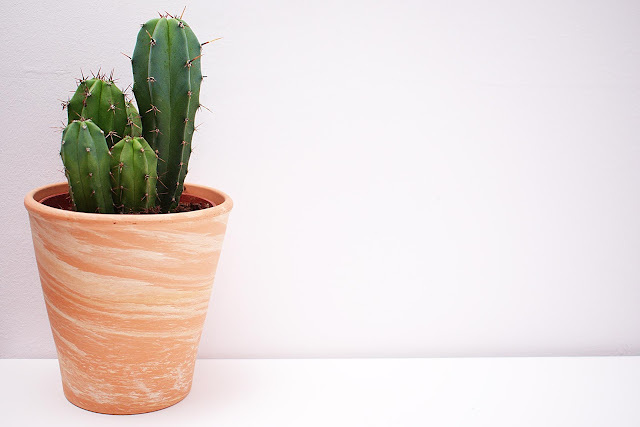 Getting a cactus or a succulent is the perfect way to spruce up your home and they're easy to take care of too. They can brighten up any desk area or a shelf somewhere. Add a level of comfort to your home with a throw or a cushion. I've made my a 2019 vision board this year and stuck it in my bed room, but it doesn't necessarily have to be a yearly one. Vision boards can be for anything, including the design of your home. So get crafting and add a personal touch to your home. These are great ideas. I have a small collection of house plants at home, which definitely make things feel brighter. I'm a sucker for candles and incence too.